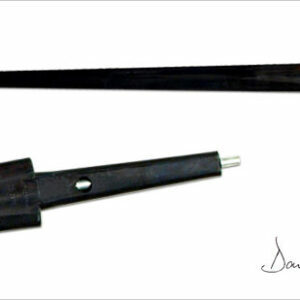 Although also used on land, the cutlass is best known as the sailor’s weapon of choice. A naval side-arm, its popularity was likely due to the fact that it was not only robust enough to hack through heavy ropes, canvas, and wood, but short enough to use in relatively close quarters, such as during boarding actions, in the rigging, or below decks. 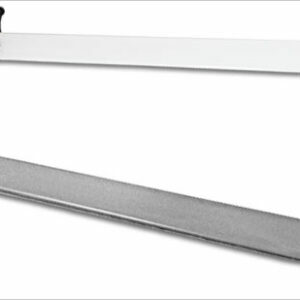 Another advantage to the cutlass was its simplicity of use. Employing it effectively required less training than that required to master a rapier or small sword, and it was more effective as a close-combat weapon than a full-sized sword would be on a cramped ship. 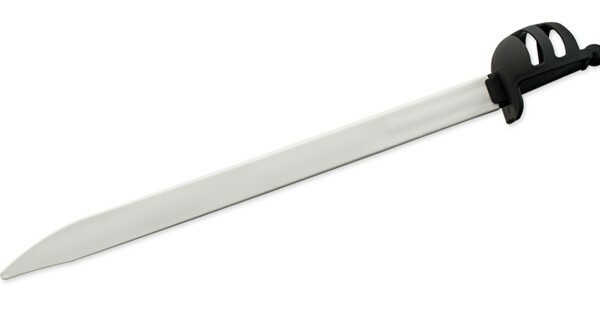 Our Proline Xtreme Cutlass is manufactured from the same special blend of high-impact polymer used in the construction of other swords within the Proline Xtreme range. 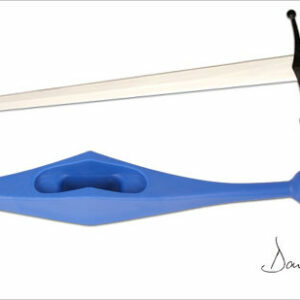 The Cutlass Blade can be swapped easily with the Single Hand Blade to create a Basket Hilt sword.